You want to enjoy the fall weather, and Social Security’s online services free up your time to lounge in a hammock in your backyard or take your dog on a long walk. You can safely and conveniently conduct most of your business with us anytime, anywhere. There’s no need to visit a local Social Security office. When you’re ready to retire, you can do it online in 15 minutes or less. In most cases, once your application is submitted electronically, you’re done. There are no forms to sign and usually no documentation is required. Social Security will process your application and contact you if any further information is needed. Applying for Social Security disability benefits has never been easier! The secure site will only ask questions pertaining to your situation, and we provide links to more information. There are examples to help you along the way. With a my Social Security account, you can also get your Social Security Statement showing how much you paid in Social Security and Medicare taxes through your working years. You can use your Statement to verify your earnings history so that you receive the correct payment amount when you become eligible for benefits. And speaking of your future benefits, your Statement also shows estimates for retirement, disability, and survivors’ benefits. And, when you need it, you can get a benefit verification letter to prove you receive Social Security benefits, Supplemental Security Income (SSI) or Medicare. Your personal my Social Security account also allows you to change your address if you’re already receiving benefits, and to start or change your direct deposit information. You have all that at your fingertips, and you never had to leave your hammock! This entry was posted in Online Services and tagged benefit verification letter, Disability, disability benefits, earnings, medicare, mySocialSecurity, myssa, online services, social security, Social Security benefits, Social Security statement, SSA, SSA benefits, ssi, supplemental security income by Jim Borland, Assistant Deputy Commissioner, Communications. Bookmark the permalink. I have been unable to work since 2011. I have been denied by Social Security over and over again. I’m 6 months out on a newly broken leg and have to have more surgery because the leg is not healing at what point does social security decide I’m crippled enough to receive benefits? It took my husband over 3 years and a lawyer to get 100% disability. Only good thing they pay back to the date you filed, if you filed. Get a good attorney, one who specializes in Disability. Get a *local* lawyer who does Social Security law to help you. They’re the ones who know the idiosyncracies of the local judges and offices, and who know the local doctors and medical providers so can urge detailed reports from them. I’m sorry Deborah, Social Security requires TWO broken legs for disability. If you know the email address you set up the original account with you can click on forgot my password and a new temporary password will be sent to you. Social security and Medicare set up new systems recently. Even if you had an account you need to start fresh. Hello Douglas! We are sorry you are having difficulty with your personal my Social Security account. For assistance, please call 1-800-772-1213. After you hear “Briefly tell me why you are calling,” say “Help Desk” for help with a my Social Security account. Sometimes, it might be best to visit your local Social Security office for further assistance. the guidelines for disability have not been revised since 1978 and need updates to reflect current conditions….there are many rejections because sufferers either do not meet the guidelines or do not present sufficient evidence that they do…some lawyers can help for a large fee but even they are sometimes denied. No you cannot and ssi has nothing to do with foodstamps yoy can get a application sent to you online but you still need to show up to your local office to receive benefits. That is dependent on the state where you live. In New York, you can do the app online. Then they will want documentation sent to them. If they want to see you in person and you can’t travel there, you can do a phone interview. Yes you can apply for food stamps online, at least in Massachusetts and Connecticut. Which are states that I am familiar with. To apply for benefits, or for information about the Supplemental Nutrition Assistance Program (SNAP), you will need to contact your local SNAP office. You will also find a list of States that allow you to apply online. We hope this information helps! YES you often can! Depending on the state you live in, there are different websites that can help you do it. Your State’s Dept of Health is where to start. If it’s available where you are, you’ll be asked to mail in your documentation. Some States will let you upload it. The modern world is encroaching on Food Stamps (now known as SNAP). You might be required to have a phone interview as well. The article is true – it is easy to apply and receive support. I applied for SSDI on-line and received it inside of 3 months. I found the on-line process to be ez because the process was designed for the form-phobic. It had only a few questions per screen. You could stop and save the effort at any time. You could correct anything. Bravo to the design team. Thank you Mary! Your thoughts are important to us and we’re pleased when feedback is positive. We try hard to provide the best possible service to our customers and your satisfaction is our reward. Please continue to use our services online. I think you have to be receiving SS for her to get spousal SS. If you are not; you can file and suspend (the strategy that is being discontinued soon). If you ARE receiving or file and suspend she can file a “restricted application” and receive 50% of your FRA benefit or if you took it early 50% of your benefit because SHE is FRA. At FRA she won’t lose some of her benefit because she is working which is what would have happened if she applied for early SS.. Thanks for your question Joe. It appears that at 66 your wife has reached her full retirement age. She can now file for benefits and continue to work. Please read our publication How Work Affects Your Benefits for more details. At full retirement age, she can receive full retirement benefits on her own record or receive half of yours. If she is eligible for both, we pay her own benefits first. If her benefits as a spouse are higher than her own retirement benefits, she will get a combination of benefits equaling a higher amount. Your wife should contact her local office or call our toll free number at 1-800-772-1213 for more information about her situation. Representatives are available between 7 a.m. and 7 p.m., Monday through Friday. Generally, callers have a shorter wait time if they call later in the week. We hope this information helps! I am an 88 year old veteran confined to a wheel chair and live on my benefits from social security and the veterans administration. I need a small short term loan for holidays will Social Security loan me $300.00 with me paying back in monthly payments in Jan., Feb., and March of $100.00 each month. Thank you for any help you can give me. You can get a signature loan or title loan or checking account loan at just about any check cashing store for the holidays just call around just watch your interest rate. Hi Clemon. Social Security does not make loans to beneficiaries. I would expect to see clearly a bulleted or numbered list of five things that I can online with SSA. I think that the important information gets lost in the narrative format. It makes the readers work to ferret out the things they can do online. I agree. I can’t find all 5 either. Bullet and then expand on each please! You can apply for social security retirement benefits, SSI, SSDI, Medicare and Medicaid. Each option is explained at my social security online. This would be particularly desirable for the emails that get sent out announcing a new blog entry. This would permit readers to quickly get top-level information and determine if they want/need more by clicking to a web page with the full post. A succinct, bulleted summary would be perfect for each email and also act as a table of contents of sorts for the blog posting itself. Much appreciate all of your efforts with this blog, which definitely has useful information. Hope this suggestion can make it even better. I am currently 62 years old, my husband passed away 15 years ago. Did not take widows benefits. Can I collect now off his his benefits and continue working? Yes, you can receive widow’s benefits and continue to earn delayed retirement credits on your own benefit. However, survivor benefits are subject to the earnings test until you are full retirement age. Thank you for your question Donna. If you are the widow of a person who worked long enough under Social Security, you can receive full benefits at full retirement age for survivors or reduced benefits as early as age 60. (age 50 or over if you are disabled). At this time, if you are also eligible for retirement benefits on your own record (but haven’t applied yet), you may have an additional option. You can apply for retirement or survivors benefits now and switch to the other (higher) benefit at a later date. You can work while you receive Social Security benefits, but if you make more than the yearly limit, your earnings may reduce your benefit amount. Please read our publication: How Work Affects Your Benefits for more information. To make an appointment or to speak to one of our representatives, call our toll free number 1-800-772-1213, Monday through Friday, between 7 a.m. and 7 p.m. I applied for disability, got it and started to receive it in August of 2015. Will I be automatically enrolled in Medicare(Part ?) after 2 years on disability? Also, I have private insurance(family coverage) which I continued from my previous employer(civilian federal government employee). Is the medicare just for me or will it cover my family? Is it advisable to keep my regular insurance and also have medicare? Is there a benefit to having both? Thanx. I was automatically enrolled in Medicare 2-1/2 years after date of disability. However the Cobra plan I had from the State I worked for was not available once I had Medicare. That’s okay because I no longer had to pay $450/month for premiums. But Medicare is only for you, not family. So you may be able to keep your private ins. Check with your current insurance Before it gets to that point. Aileen, do you have Part A and B? Do you also part regarding prescriptions? Thanx. Good questions Jose. You will receive Medicare after you receive disability benefits for 24 months. We start counting the 24 months from the month you were entitled to receive disability, not the month when you received your first check. We will automatically enroll you in Medicare Parts A and B. However, because you must pay a premium for Part B coverage, you will have the option of turning it down. We strongly suggest that you speak to your health benefit advisor or health plan representative to see what options are best for you. Medicare does not provide family coverage. We hope this information helps. YES, keep your gov.health card. If it is Blue Cross/Blue Shield, it will pay most of what medicare doesn’t pay. I retired fro the Feds in 2000 and still have my BC/BS. Retired, do I need part b? if so what are the add. benefits. Do I have to make an appointment at a Social Security office to determine if my benefit amount may be more by claiming under my former spouse instead of my own? If not how may I do it on line? Hi John! If you were married to your former spouse for at least 10 years, you may be eligible for benefits on her record at age 62. To see additional qualifying criteria see our Retirement Planner: If You Are Divorced. If you are also eligible for Retirement Benefits on your own record we will pay that amount first. If the benefit on her record is a higher amount, you will get a combination of benefits that equals that higher amount (reduced for age). To find out if you are eligible for a higher benefit and to discuss your options, contact us at 1-800-772-1213 between 7 a.m. and 7 p.m. Monday through Friday or visit your local Social security office. Thanks. In that I live out of the United States, I appreciate the ability of being able to complete more and more on line. Can you tell me why it is that the Social Security Administration continues to request “proof of life” ( marriage, work, etc.) forms ONLY via the mail. It takes a month to receive your form, and the trip here in Costa Rica to the Post Office is an a One hour drive, to mail it back. Hi Rita, and thank you for the feedback. Any document needed as proof of an entitlement factor must be an original document or a certified true copy. If you have any questions related to Social Security, you may contact the U.S. Embassy in Costa Rica by phone or email. Our Office of International Operations (OIO) home page provides more information to assist our customers living abroad. We hope this information helps! Eight years ago I applied for early SS benefits on my own account and suspended spousal benefits from my spouses FRA. I have now reached 70 and would like to convert to spousal benefits under my spouse’s account. How do I do this and will I receive more than 50 percent of my spouses FRA as well as widow(er) benefits in either case? Unfortunately, your questions are a bit more complex than we can address in this blog. We urge you to call us at 1-800-772-1213 (TTY 1-800-325-0778) between 7 a.m. and 7 p.m. to speak to one of our representatives. Generally, you’ll have a shorter wait time if you call later in the week. Or, you can contact your local Social Security office directly. I reside in Panama and receiving benefits since 2012. However, I feel discriminated because we cannot establish an account to view or benefits and submit changes and docs on line as our stateside peers. Why? If it’s for security reason then we should be able to at least view our benefits on-line. Thank you for your question Gildo, we apologize for the inconvenience and appreciate you trying to use our online services. At this time you must have a U. S. mailing address to create or to access your online account. The “my Social Security” authentication system requires address verification as one of the essential criteria for issuing an account. People with APO/FPO/DPO addresses can create an account overseas, but our system does not support registration and account creation for users with a foreign address yet. For assistance related to your Social Security benefits, you may contact the U.S. Embassy in Panama by phone or email. Also, our Office of International Operations (OIO) home page provides more information to assist our customers living abroad. We hope this information helps! It took me 9 years to get disabled in a ma. court, started as work comp. Yes, I got back money but had to pay bills for 9 years. I have nothing now, and live on $800 a mth. I have to live in with my boyfriend, I can not support myself on that kind of money, if a senator mother lived like that he would raise holy hell. applied for disability in the 70’s was turned down can I re-open my claim? No, I believe you have to open a new claim. I would think with that many years ago your claim was closed many years ago. I do believe there is a time limit on how long a claim remains open. If I remember correctly you have 90 days to respond on an open claim; otherwise that claim gets closed; therefore you have to open a new claim. Thank you for your question Pete. You will have to file a new claim. Disability benefits are paid to people who are unable to work because of a medical condition that is expected to last one year or more or to end in death. Social Security pays only for total disability. No benefits are payable for partial disability or short-term disability. If you think you are disabled, you can apply for disability online. If you are eligible, you will still need to complete your Supplemental Security Income (SSI) application at your local office. Once you’ve completed the online disability application, please call us at 1-800-772-1213 (TTY 1-800-325-0778) between 7 a.m. to 7 p.m., Monday through Friday to have one of our representatives schedule an appointment for you with your local office. Generally, you will have a shorter wait time if you call later in the week. We hope this helps! I too have BCBS. Will I be paying two deductables? Surprised no one has asked where their free hammock and dog is…. If I start receiving SSI or SSDI would my husbands income be included in determining the amount I would receive? My husband and I are separated and live in different households would that effect my benefits should I start receiving benefits? Thank you for your question Jana. Your Social Security Disability Insurance (SSDI) benefits are paid based on your previous work and you paying into the Social Security program, other income will not affect your monthly benefit amount. The Supplemental Security Insurance Income (SSI) benefit in the other hand, is paid to disabled individuals with limited income and resources, and we must consider the income and resources of family members living in your household. If you have specific questions, call our toll free number at 1-800-772-1213 between 7 a.m. and 7 p.m., Monday through Friday. Generally you will have a shorter wait time if you call later in the week. how do I go about giving you a change of address? Hello Paula, if you are receiving Social Security benefits, you can create a my Social Security account to change your address online. If you are receiving Supplemental Security Income, you must report the new address to your local Social Security office. If you are not yet receiving benefits, you don’t need to change your address with us at this time. I have been receiving Social security since last year. I want to take out a percentage this year to pay taxes next year. How do I do this? I can’t seem to find anything on the website or do I have to call. Search no more, Sandy. Just go to our Benefits Planner: Withholding Income Tax From Your Social Security Benefits for this information. Applied for Ssdi month ago just happened to look on my account saw a verification letter that said there was no cost living allowance but my benefits amounts was below which was blank is that a good sign of approval, my daughter checked hers it says you have not applied for benefits which is right just wanted to see if hers was like mine. I’m 53 have spinal stenosis and DDD and herniated disc and Forman plus diabetes and anxiety haven’t worked since 2/16/2016 what do you think my chances are I’ve got MRI and XRAYS Doctor says on scale on 1-10 my spine is a 7 I’m in chronic pain most of the day and have to sit or stand or lay down for periods at a time I’m a bus driver thanks in advance foe any feed back thank you. is it possible to receive SSI if l am receiving my early retirement? l recently had to go on my retirement because of medical problems which in the past, was told not eligible for disability. l have Diverticulitis and been in and out of hospital several times with this anything to do with SSI l am 63years old I get 599.00 a month on my early retirement that is my only income. Hi Debbie, the Supplemental Security Income (SSI) program is a needs based program that gives cash assistance to people with limited income and resources who are age 65 or older, blind or disabled. The Social Security Act sets out a strict definition for disability. We pay disability benefits to people who are unable to work because of a medical condition that is expected to last one year or more or to end in death. Generally, when you apply for disability benefits, we take applications for both programs: the SSI program and the Social Security Disability Insurance (SSDI) program. If a person thinks that he or she meets our definition of disability, we encourage them to apply. You can call our toll free number, 1-800-772-1213 to schedule an appointment and to speak with one of our representatives, who are available Monday through Friday between 7:00am and 7:00pm. You may be eligible to receive social services from the state in which they live. These services include Medicaid, free meals, housekeeping help, transportation or help with other problems. You can get information about services in your area from your state or local social services office. Or you can visit the U. S. Department of Health and Human Services web page for more information. We hope this helps! How can I cash out my social security, I feel waiting until old age is not fair. I been working since age 17. I have been living in poverty since young child. This is money I worked for .. Again I Dont want to wait ..I need my money I paid in out. What can I do? How can I apply at FRA and THEN suspend benefits on-line?? I have completed except for signature my benefit application – did not see any where how to suspend benefits. I’m helping a friend who is struggling to understand her SS benefit. She receives an SSI benefit and would like to get married. Her finance does not have an income. Will getting married effect her benefit? Thank you for helping out Laura. If someone gets disability benefits under the Supplemental Security Income or SSI program, getting married may affect their benefits. The amount of SSI benefits is based, in part, on the income and resources available to the individual. This includes income and resources available from his or her spouse. See what changes individuals must report and how these changes may affect their eligibility for SSI amount, by visiting our web page: “Understanding Supplemental Security Income”. We hope this information helps! Hi! my name is Jody, I recieve ssi disability, I had a rollover accident in 2005Broke 8 ribs and fractured crushed my left wrist,had a bruise on my lung. I havent been right since. I tried to work in 2006 for about 6 mo and i cried and was grouchy. felt like someone was stabbing me with knife and if I go to long without sitting down for a spell then it starts in with the stabbing pain. i was a cook in a restaurant before i got hurt went back to work for a week they fired me, said I didn’t know how to use a computer, no not at that time but was willing too learn. I tried to start a S.S. account and it ask for my phone number and I have a prepaid cell phone it did not accept my number. I am working on a SSI application and I used the phone number where I live with a friend. The number is in my friends name. I saw that you should leave it blank but the cell phone is in my name. Don’t understand why it was rejected. Thank you for using our online services, Linda! Please call 1-800-772-1213 for assistance. After you hear “Briefly tell me why you are calling,” say “Help Desk” for help with a my Social Security account. eliminated for 2018? Do I need to take any action to see that the IRMAA will be eliminated? No, you’re 2018 benefit will be based on your 2016 agi so your reduction for Medicare b 2017 will be reinstated as long as you stay under the agi limit for 2016 (Google Irma tables irs). My email address is 2lynne24@gmail.com. I moved on November 29, 2017 to 5450 S. Fort Apache Road, #265; Las Vegas, NV 89148 my phone number has remained the same 702 444 7004. I want to find out also if I could get a higher amount from social security, based on his earnings? Also, I worked for the NYC Housing Authority for about about 3or4 years 1964 to 1967 or 1968, but they said I did not have any right to a pension, so I wanted to check my earnings for those years. goods increased very much, How can you give me only four dollars and feel that this fine for me. My wife and I both receive benefits and have My Social Security accounts. However, I have been unable to change our mailing address because I work for the US Army in Japan and we have an APO AP address (PSC 704, Box 3494, APO AP 96338). I have mailed an address change to your international office hard copy but nothing has happened. I turned 65 this last November at which time I was told my benefits letter required for property taxes was mailed not long after my birthday the 18th and should have had it 10 days after according to an agent? that in theory means it should have been here before Christmas,to date1/24/18 it is still not here?? why? this is insane is it not? I have a life and cannot hang on the phone for hours waiting for a simple(so I thought) answer.it always drains my phone battery also ,they are not inexpensive if you can get one.I know I had to get one after the last time I called. in other words it is not happening again.suggestions?I need the paper version the online account thing does not work with my county tax bureau. 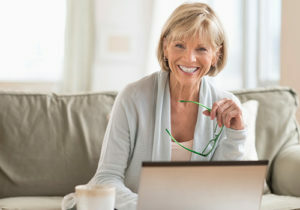 If you need proof you get Social Security benefits, Supplemental Security (SSI) Income or Medicare, you can request a benefit verification letter online by using your my Social Security account. If you can’t or don’t want to use your online account, you can call us at 1-800-772-1213 (TTY 1-800-325-0778), Monday through Friday from 7 a.m. to 7 p.m.
Generally, you will have a shorter wait time if you call later during the day or later during the week. Thanks! I went down to the social security office to get my name and address changed.Why did I get a benefits letter with my name before I was married and an address that I had before I was married? Is there any way to get a correct benefits letter. We apologize for any inconvenience, Judy. One of our representatives should be able to help you and provide you with an explanation. Please call our toll free number at 1-800-772-1213 for assistance. Representatives are available Monday through Friday, between 7 a.m. and 7 p.m. Generally, you will have a shorter wait time if you call later during the day or later in the week. Thanks. I need to make a appointment in the Hemet office as soon as possible. Hi Anita. Some of our local offices do offer walk-in appointments; however, these appointments are on a first come, first serve basis. You can call our toll free number at 1-800-772-1213 and speak to a Social Security representative between 7 a.m. and 7 p.m. Monday through Friday. Keep in mind that many of our services are conveniently available anytime at our website. You can even apply for Social Security benefits online. We encourage our customers to create a my Social Security account. With a personal my Social Security account, you can get estimates of your retirement, disability, and survivors benefits, review your earnings record and much more. Does the DAV assist veterans with there social security disability? I need to find the name and date of my last employer i worked for, which was about 15 years ago. How do i do this? Visit our Frequently Asked Questions web page for information on this topic. Thanks! I have to pay higher premiums for my Medicare Part B plan due to my income. Am I required to get the prescription drug coverage due to my income even though I am covered by my supplemental insurance plan? I was wondering if my retirement benefit included credit for active duty service? I was on active duty from 1973-1977. Hello Rogers. If your active military service occurred from 1968 through 2001, you do not need to do anything to receive these extra credits. The credits were automatically added to your record. See our Retirement Planner: Special Extra Earnings For Military Service for more information. Do I have to pay federal and Maryland state taxes on my social security checks that I am receiving? If I do, how do I have them deducted from my social security checks? Hello Kathleen, some people may have to pay federal income taxes on their Social Security benefits. This usually happens only if you have other substantial income (such as wages, self-employment, interest, dividends and other taxable income that must be reported on your tax return) in addition to your benefits. You can ask us to withhold federal taxes from your Social Security, please see our Benefits Planner: Withholding Income Tax From Your Social Security Benefits. For more income tax questions you will need to contact the Internal Revenue Service (IRS). Their toll-free number is 1-800-829-1040. Thanks! I need a copy of my W2 records. I cannot find my W2 to fill out my taxes. Hello Marvin, for security reasons, we do not have access to personal information, therefore, we do not do direct messaging in this venue. For a copy of a W-2, you should contact your employer’s human resource or personnel office. If you are referring to the Form SSA-1099 showing the amount of benefits paid to SSA beneficiaries during last year, you can request a replacement SSA-1099 by using your personal my Social Security account. We hope this helps! Just a reminder – Please be cautious about posting personal information on social media and communicating personal information via email. Just a reminder – We do not have access to personal information, therefore, we do not do direct messaging in this venue. We cannot check or update any records. Please be cautious about posting personal information on social media and communicating personal information via email. If you need assistance related to Social Security benefits, please call our toll free number at 1-800-772-1213. Representatives are available Monday through Friday, between 7 a.m. and 7 p.m. Thanks! We are sorry to hear about your grandson’s accident, Martha. The Social Security Act sets out a strict definition for disability. We pay disability benefits to people who are unable to work because of a medical condition that is expected to last one year or more or to end in death. However, if a person thinks that he or she meets our definition of disability, we encourage them to apply for disability benefits when they become disabled. Individuals may be eligible to receive social services from the state in which they live. These services include Medicaid, free meals, housekeeping help, transportation or help with other problems. You can get information about services in your area from your state or local social services office. Or you can visit the U. S. Department of Health and Human Services (HHS) web page for more information. I GET BENEFITS AND I HAVE LOST THE INFORMATION THAT LETS ME KNOW THE GROSS MONTHLY BENEFIT I RECEIVE IN 2018. I WOULD LIKE TO HAVE A COPY OF THAT INFORMATION SENT TO ME AT MY HOME. Hi Frances, if you need proof you get Social Security benefits, Supplemental Security (SSI) Income or Medicare, you can request a benefit verification letter online by using your personal my Social Security account. In April we celebrate “National Social Security Month”, see what you can do online at http://www.SocialSecurity.gov. Thanks! Last week I tried to change my address by calling your 800 customer service #. After waiting in Q for a full hour I spoke to one of your reps and explained what I wanted to do. She asked me for my name and my SS# and the last address they had on file. I gave them my name and # (I know they haven’t changed and gave her the last address the I received my last communication from SS. I gave her my address where I have lived from 2003 to 2014. She said she could not help me because some of the information I gave her does not agree with your records. The irony of all of this is that in Aug. or Sept. of 2014 after we moved to a new address I called your 800 number and successfully changed my SS account address. When that was completed, I asked the lady if my wife could get on and change her own. She agreed and my wife changed hers. In Jan of 2015 only my wife received her Form 1099 and that hasn’t changed through and including this spring. So obviously she was successful but I was not on the same phone call. Last week I finally decided to try again. While back in 2014 when we moved I filled out a post office address change to forward our mail to a retail postal box in Bonita Springs which we used for three months until we could get into our new residence in Fort Myers and then made arrangements to again have mail forwarded to our new address. At that time I changed our address with all those who should have our new permanent address, including SS. I have never knowingly changed changed my address (directly and successfully) with Social Security. I need to change my phone number. My new phone number is: 567-868-2625. This is my cell phone and the only phone number I have. Please change it in my my Social Security. Thank you! Hello Kimberly. Unfortunately, and because of security reasons we do not have access to personal records in this blog and cannot update your records. If you get Social Security benefits or are enrolled in Medicare, you can change your address and phone number online by using a my Social Security account. Thanks! I am currently collecting benefits from my deceased husband, At this point in time I understand that my benefits are more than his. I am having trouble trying to apply online for my benefits and trying to get a figure of how much I will get 503-508-4205. Hi Mary. Your benefit as a spouse can be equal to one-half of your husband’s full retirement amount –only– if you start receiving those benefits at your full retirement age. If a person begins to receive benefits at age 62 or prior to their full retirement age, their benefits are reduced. The reduction factors are permanently applied to all of the benefits the person may qualify for. To see if you qualify for a higher benefit amount you and your husband should contact us. You can call us at 1-800-772-1213, Monday through Friday, between 7 a.m. and 7 p.m. Thanks! I am in very bad health. I went to a lawyer because that’s what I thought you had to do to try to get disability. She told me since I drew a $300 retirement check I wasn’t eligible . Is this true? . I also draw Social Security. Thank you. We pay disability benefits through two programs: Social Security Disability Insurance (SSDI) and the Supplemental Security Income (SSI). The SSI is a needs based disability program that pays benefits to people with limited income and resources who are disabled, blind, or age 65 or older. SSDI benefits are based on earnings and are not subject to income and resource limits. These disability benefits automatically change to retirement benefits when disability beneficiaries attain their full retirement age. If you have low income and limited resources, you may be able to receive benefits from both disability programs. Generally, when you apply for disability benefits, we take applications for both programs. Keep in mind that, if a person has reached his or her full retirement age and is receiving Social Security retirement, they will not be eligible for disability benefits. The Social Security Administration (SSA) does not require a claimant to have representation at any level. In some cases, we may provide information about legal services organizations that provide legal services free of charge (e.g., legal aid groups). The information SSA furnishes must be consistent with the basic policy that SSA is neutral with respect to encouraging or discouraging representation. SSA will not refer the claimant to a specific organization, nor can SSA determine whether a claimant qualifies for legal services free of charge. To apply for disability benefits or if you need further assistance, call our toll free number at 1-800-772-1213. Representatives are available Monday through Friday, between 7 a.m. and 7 p.m. We hope this information helps! I just took my father in law home from the hospital due to an illness. The Social Security office just sent him a letter stating that he had received more money than he was to receive. The were errors found on the letter. I would like to be treated more human than this. Your employees should be ashamed of how they treat elders. I’m applying for a job and I need to show proof of previous enmployment. From 1990 thru 2010 some years I was self employed. How can I get proof of self employment? I applied for social security at age 62 and was paid for about 2 1/2 years. I then received a letter that stated I earned too much money so I was required to pay back every penny I received from social security. I then received a letter after I turned 66 that I was now eligible to receive social security but I was only paid my age 62 benefit amount. Why did I not receive age 66 benefits since I was not eligible until then? I spoke to a social security representative at my local office and she said I should receive age 66 benefits. Who do I speak to or write to to get my full benefits? Thank you for contacting us, Roger. Generally, after you reach full retirement age, we will recalculate your benefit amount to give you credit for any months in which you did not receive a benefit because of your earnings. We will send you a letter telling you about any increase in your benefit amount. See “Getting Benefits While Working“. To request a review of your records, you can contact your local office directly or you can write to us. I found a world of stuff except how to get my SOC sec award letter and/or 1099 for 2017 and 2018. Normtann@gmail.com. can you send it to my email or fax. I need it to send for my home loan refinancing. I need to change my old e-mail address to the new listed above. I already receive the extra help but am still paying for me and my husbands percriptions. Why? Need to change my name due to marriage. What do I do? Hello Carol. In order to change your name on your Social Security card, you must show us a document that proves your legal name change. In your case, your marriage certificate and valid ID card may be sufficient. To learn more on the process and what documents you will need to get a card, please visit our “Social Security Number and Card” web page. When ready, you can take or mail your application and (original or certified copies) documents to the nearest Social Security office or Card Center in your area. Please call our toll free number at 1-800-772-1213 if you need further assistance. Representatives are available Monday through Friday, between 7 a.m. and 7 p.m. Or contact your local Social Security office directly. Thanks! I did nor get the new social security card. I am 71 yrs old I should get new social security card without social security numbers. Hello! You must be referring to the new Medicare cards: “Social Security Numbers (SSNs) will be removed from all Medicare cards“. To learn more visit http://www.Medicare.gov . I made an error on the date of the Tendonitis in my right shoulder which was in the summer of 2015. Hello Elemina. To add new medical evidence or a medical source to your pending claim, you can mail or take the information to your local Social Security office. Thanks! Hello Eugene, if you get Social Security benefits (retirement, survivors, or disability) or are enrolled in Medicare, you can change your address online by using a my Social Security account. Thanks! I am looking for the street address to return my Form HCFA 1763, Request for Termination of Premium Hospital and/or Supplementary Medical Insurance (Part B) and cannot for the life of me find it in all the Social Security Administration web sites. Thank You for your help. Hello William. Our policy requires a personal interview be conducted with everyone who wants to terminate their Medicare Part B benefits. Representatives at your local Social Security office will help you submit the required Form CMS-1763, “Request for Termination of Premium Hospital and /or Supplementary Medical Insurance”. However, we need to speak to you personally before we terminate your Medicare benefits to be sure that you fully understand the consequences of doing so. To make an appointment, call our toll free number at 1-800-772-1213 (TTY 1-800-325-0778), representatives are available Monday through Friday, between 7 a.m. and 7 p.m. Generally, you will have a shorter wait time when calling later during the day or later in the week. Thanks! Hello Kacey, beneficiaries can request a benefit verification letter online by using their “my Social Security account“. Thanks! Social Security disability benefits automatically change to retirement benefits when disability beneficiaries attain their full retirement age (full retirement age was 65 for many years). Benefits are not interrupted with this transition and the benefit amount will generally remains the same. Thanks! I think it is unfair when people getting SS I checks don’t get a raise due to Medicare going up. This is no help to us and DOES NOT make us happy. We need a good raise this year that is not gobbled up by Medicare premiums going up enough to screw us out of a raise. Hello Joan. If you get Social Security benefits (retirement, survivors, or disability) or are enrolled in Medicare, you can change your address online by using a my Social Security account. Thanks! Hello Donald. You will need to speak to a Social Security representative. For assistance or to make an appointment with your local office, call 1-800-772-1213, Monday through Friday, between 7 a.m. and 7 p.m. Generally, you will have a shorter wait time if you call later during the day or later in the week. Thanks! How do I get a copy of my name change when i married years ago?? I am going to attend college and they neef some paper showing my official name change. I have opened a My SSA in my name Stephanie Scarlino and SS Number. I am able to go online in my account. My husband opened an account in his name Victor Scarlino with his SS Number. When he tries to go on his account he is unable to. We use the same email account. Only have one account. The message says they can’t find his account and the email is in use. This is really upsetting. We are trying to get him a Medicare card for part A. If he goes to our local SS office does he need to make an appointment? Hi Stephanie, thanks for using our blog. Sorry to hear your husband’s having difficulties creating or accessing his my Social Security account. If a family shares an email address, each person should be able to establish his or her own my Social Security account by listing the common email address. There is no registration exclusion related to email addresses. I would like to sell some of my paintings online so how much beyond the 11,100 that I get for SSDI without special guidelines. Hi Christopher: See our Frequently Asked Questions web page on how you can work while receiving Social Security disability benefits. Can I make an appointment on line? Please visit our Frequently Asked Questions web page for information on this topic. Thanks! Hi Linda. You can apply for your retirement benefits four months before you want your benefits to start. When you are ready to apply, use our online retirement application, the quickest, easiest, and most convenient way to apply. If you are unable to file online or do not want to file online, please call 1-800-772-1213 (TTY 1-800-325-0778), Monday through Friday from 7 a.m. and 7 p.m. to make an appointment. I have a question. Does anyone know how I go about getting an advocate to assist me in obtaining disability benefits after being denied several times? My sister is receiving disability benefits for OCD and Bi-Polar disorder and when talking with her she suggested that i get an advocate to help me get benefits. She lives in S.F., California and I live in Las Vegas NV. and I don’t know if their is an advocacy program here in NV. Does anyone know how I get in touch with such a program? My email is sjproveaux3@gmail.com Thank you. Can I have a appointment with anyone from Brea social security office in Orange county California? Can I make an appointment to come into my local branch office to speak to someone about Medicare? I need help with choosing the correct package and I have a few questions that require an answer in person. I really need some guidance about my many options. Hello Steven. The Medicare program is managed by the Centers for Medicare & Medicaid Services (CMS). Social Security works with CMS by enrolling people in Medicare. To get information on when you can sign up for or change your Medicare coverage, visit Medicare.gov. This information includes your Medicare Advantage Plan (Part C) or Medicare Prescription Drug Coverage (Part D). The awards letter is no longer called an Award Letter. Just information about your Social Security will be the letter that I would need to show to whom ever needs this information. When will Irma adjustment letters be sent out? Hi Dave, thank you for your question. Go to our Medicare Annual Verification Notices: Frequently Asked Questions for details. I would like to cancel my phone appointment with social security to sign up for medicare, because I used the online service. I don’t believe I have yet received my 2019 IRMMA award letter, but to receive reimbursement from my former employer I must provide a copy of it by January 5, 2019. Thanks for your question, James. We do not have information on home health care assistance. However, you may want to check with your state’s social services. These services could include free meals, housekeeping help, transportation, or help with other problems. You can get information about services in your area from your state or local social services office. You can also visit the U.S. Department of Health and Human Services web page for more information. Thanks. MY DAUGHTER GOT A 2PER CENT INCREASE in 2017 YET i DID NOT. wHY?? mY EMAIL IS nzjojo.jo@gmail.com. I am 88, and yes, you will give it to me this year.so why not last year? I need all the help I can get. Merry Xmas. Jo Gillies. Hi, Jo. For your security, we do not have access to private information in this venue; therefore, we do not do private messaging. For some beneficiaries, their Social Security increase may be partially or completely offset by increases in Medicare premiums. The Social Security Act contains a “hold harmless” provision that protects most beneficiaries. The amount of the benefit will stay the same even though the Medicare Part B premium increases. For specific questions regarding your benefits, contact your local Social Security office. Just a reminder – please be cautious about posting personal information on social media. Thanks. I do not need Medicare insurance at this time. I have insurance threw my husband’s employment. What do I need to do. I need an original copy of my initial awards letter as soon as possible. How do I obtain one? May it be emailed? Hi, Donna. For your security, we do not have access to your private information. Please contact your local Social Security office or call us toll-free at 1-800-772-1213 for assistance. Representatives are available between 7 a.m. and 7 p.m., Monday through Friday but you will generally have a shorter wait time if you call later in the week. Thanks. I am receiving my spouse’ social security now. I want to change to receive my own social security. How to make the change? Can I do it online? Hi, Chunchi. Please contact your local Social Security office or call us toll-free at 1-800-772-1213 (TTY 1-800-325-0778) between 7:00 a.m. to 7:00 p.m., Monday through Friday, to have one of our representatives schedule an appointment. Generally, you will have a shorter wait time if you call later in the day. If you are currently receiving benefits, you cannot file a new claim online. Thanks. hello I need to cancel any loans in my name ,in my social number.I feel like I never applied and my mom has old habits of using my social for no good . My name is kaylin m jovas I am locked out because of security questions I never made . Good news, Susan. You can click “Get Help” in your personal my Social Security account to “Ask a Question”. Click “Talk to an Expert” for a call back. We hope this helps. How do I go about making an appointment on line with my local office in West Chester Pennsylvania? I pay an IRMMA supplement for Medicare Parts B and D as calculated from my working years income. I am now retired and live on my Required Minimum Distribution Income. How do I appeal to recalculate by IRMMA supplement for Medicare Parts B and D? Thank you. Hi there. If you had a major life-changing event and your income has gone down, you may complete form SSA-44 Medicare Income-Related Monthly Adjustment Amount -Life-Changing Event to request a reduction in your income-related monthly adjustment amount. For details regarding an appeal, check out the factsheet: What You Can Do if You Think Your Medicare Income-Related Premium is Incorrect. Please, cancel my SSI Phone interview for Tuesday, February 5, 2019. I am no longer interested in appling for Social Security Benefits at this time. Thank you. why have I not received a ss statement in over 7 years? I would like to have a yearly statement. Hi Bonnie. Check out our Frequently Asked Questions web page on how to obtain a Social Security Statement. I would like to leave the workforce at age 58 and live off of my saving until 62. At 62 I would like to take social security. It is estimated right now I would receive approx. $1600/mo. Would that amount be effected in any way? Hi Dennis, thank you for the question. A Social Security retirement benefit is calculated by using your highest 35 years of earnings. If you do not have 35 years of earnings, we will use all of the earnings on your record and factor in an annual total of $0.00 earnings for each of the remaining years. Social Security has an online calculator called a Retirement Estimator that provides immediate retirement benefit estimates based on your actual Social Security earnings record. Plus, it also allows you to create “what if” scenarios. You can indicate you’re going to stop work at age 58. See our Benefits Planner: Retirement web page for more on obtaining benefit estimates. If you need additional assistance or you need to make an appointment, please call our toll free number at 1-800-772-1213 (TTY 1-800-325-0778) . Representatives are available Monday through Friday, between 7 a.m. and 7 p.m. or contact your local Social Security office. I was told that after my wife starts to collect SS we could now apply for more benefits by subtracting what I receive from what she receives and get part of the difference added to mine. when we first went for this she was not collecting and we were told we have to wait.How do we apply for this now that she started collecting and has retired ? Hi Ron, thanks for your question. If Carol’s benefits as a spouse are higher than her own retirement benefits, she will get a combination of benefits equaling the higher spouse benefit. However, keep in mind that a spouse’s benefit cannot exceed one-half of the worker’s full retirement amount. So, Carol will only receive additional spouse’s benefits if her own full retirement benefit (not a reduced benefit) is less than half of your full retirement benefit (not what you’re actually receiving). Generally, during the initial interview when applying for Social Security benefits, we typically explore all other benefits that could yield you a higher benefit amount. To find out if you are eligible for a higher benefit amount, you can call us at 1-800-772-1213 between 7 a.m. and 7 p.m. Monday through Friday or contact your local Social security office. Thanks! I am receiving social security retirement and my Part B is deducted. IRMMA Part D has not been deducted. Do I need to pay that separately? Will social security bill me for it.